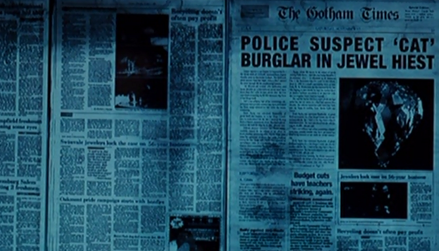 What film is this fake newspaper from, and what is wrong with it? “Hiest”, I guess? And I’m assuming that it’s The Dark Knight Rises since I don’t remember this from Batman Returns. You are right on both fronts. Not sure if they did that on purpose or by accident. You spotted the spelling mistake, but got the wrong film. The Dark Knight rises, Heist is spelt incorrectly.